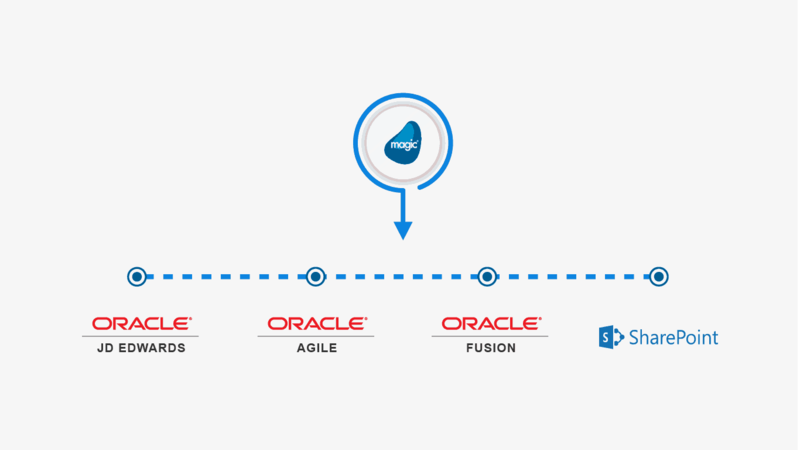 "Our selection of Magic xpi Integration Platform represents our confidence in Magic’s promise of smarter technology for business process integration across multiple enterprise systems. Magic’s collaborative working style enhances the value of their technology, making them an ideal provider for integrating our ERP, CRM, PLM and SharePoint systems." Christie, a world leader in visual technology displays, selected Magic xpi Integration Platform for integration of business processes across multiple Oracle systems including JD Edwards, Agile PLM, Fusion CRM as well as Microsoft SharePoint. Magic’s innovative technology, including In-Memory Data Grid architecture, was instrumental in Christie’s decision to implement Magic xpi Integration Platform as well as Magic’s Oracle Validated Integration status for both JD Edwards EnterpriseOne and JD Edwards World.